The September issue of Pranavadipa, volume 10, contains a series of three Jayanti speeches by Endo or Gargi, now called Mirabai, covering a five year period that shows her amazing and progressive spiritual development through the years. Her development was no mere coincidence, but rather it occurred through her participation in the kirtan activities she speaks so lovingly of throughout her speeches. From the first letter you can sense Endo’s childish side, as well as her gratitude towards Shri Mahayogi. 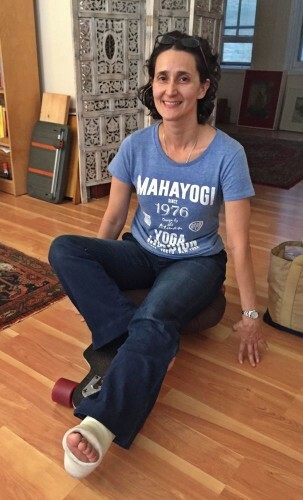 It is around this time that she begins to experience the effects of her kirtan activities. (Watch you Tube: Sakti at Shinpukan, September 2007) In the second speech, which takes place two years later, we see a very different Endo; she is full of love for God and for her Guru, whom she sees as one and the same. Her love for Shri Mahayogi is so intense, it can be felt throughout her writing. She is like a young lover yearning to be in the presence of the other. In the final speech, two years later, we see the vast depth of her spiritual growth. 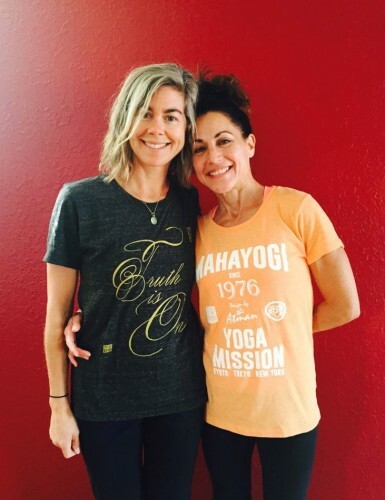 Mirabai’s Love and insight has broadened beyond Shri Mahayogi and the sangha, and now encompasses serving all of humanity. After reading Mirabai’s Jayanti speeches, I was so moved and touched. I was forced to question the degree to which I love Shri Mahayogi, my Guru. “How can I love you with such intensity that it pains my heart to be apart from you?,” I ask myself. I began to realize that such a magnitude of love will be required of me in order to renounce the world fully and achieve Satori. Through her speeches, part of the answer was revealed. Her kirtan activities with the members of the Shakti group helped her to cultivate such deep love for God and Shri Mahayogi. Feeling ashamed of myself, in my lack of that level of love and intensity that Mirabai expressed for Shri Mahayogi, my Guru, I expressed this to Anandamali, the yearning I feel to develop this deeper love. After some pause, she suggested to me that there are a few ways I can proceed in developing such intense love. 1. Involve myself in as many of the activities of the Mission as possible. By being in the company of holy ones, or like-minded seekers, our love for God and Shri Mahayogi grows and becomes pure. Likewise, using our bodies and minds for the service of the Mission serves to deepen this love as well. 2. Be consistent with my daily practice of asana and meditation. 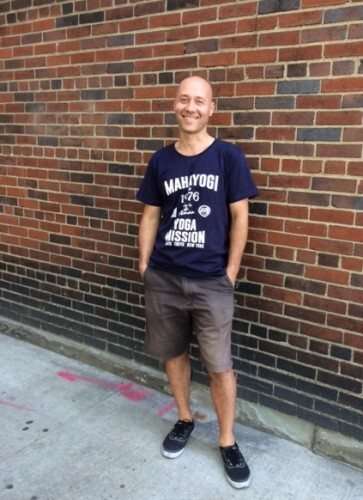 Recently when I re-read Endo’s writing, “Raja yoga: Asana” on the MYM’s website, it became apparent to me how having discipline toward my regular practice is important and effective. 3. The last one that I mention here now is actually the first one that she mentioned. It is to sincerely pray for this love. She said that when you pray, “there should not be any space in between and you should not have any expectation.” I did not understand what she meant by that at first. But after having discussed it further, when I saw her the next time, I started to understand what she meant by “to pray,” which was completely different from how I had understood prayer to be. What she meant was to be completely immersed within the Self, where there is no space between you and It. Gradually, after understanding what she meant, my heart felt it could no longer pray the way I had always prayed before. To conclude, I seek to make it my obligation to develop this intense love for Shri Mahayogi, my Guru, the Master. It is the least I can give him for all that he has given me. Every day I can feel his power transforming me more and more into a real man. Jai Sadguru Shri Mahayogi Paramahansa. 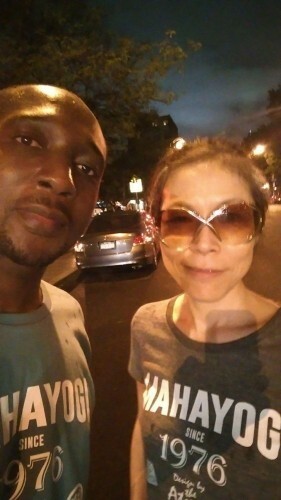 Sakti are a group of yogi and yogini of the Mahayogi Yoga Mission in Kyoto, Japan. Part of their spiritual practice is singing of universal love. If you would like to watch a Kirtan activity by Sakti, please click the following link. two month before Mirabai (Endo or Gargi) made her speech—the first one of the three that are in Pranavadipa Vol.10—at the Jayanti of Our Beloved, Shri Mahayogi. If you would like to order a copy, please contact MYM, New York. Pranavadipa is a Monthly Publication of Online Study Material containing the Teachings of Satguru Shri Mahayogi Paramahansa ＆ the Experiences of Practitioners that is available by annual subscription. 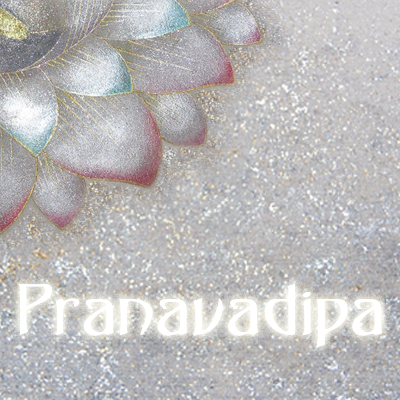 A new volume of Pranavadipa is issued on the 8th of every month, that means Thursday October 8th!!! 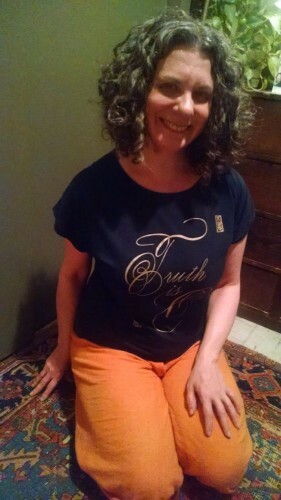 Colorado Sangha proudly put the MYM T-shirt on. 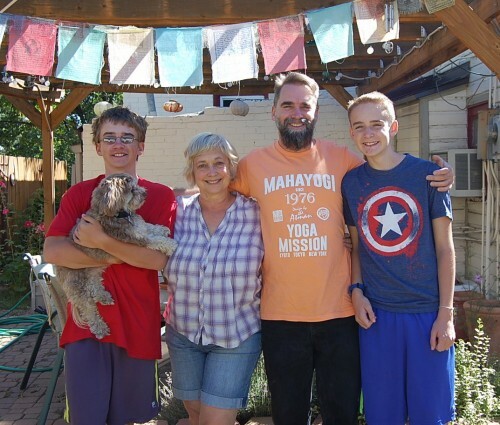 Happy family from Denver~!! So proud of you! 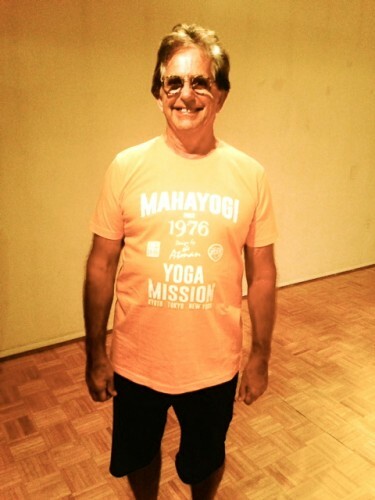 Montana Sangha proudly put the MYM T-shirt on. 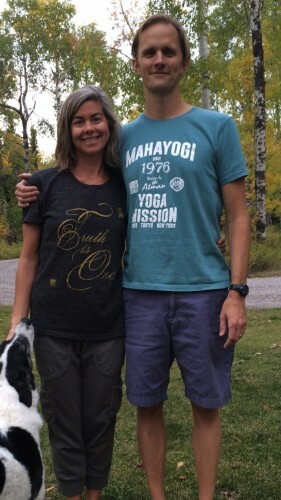 Beautiful Ladies in Whitefish wearing the MYM T-shirts!! who has met SHRI MAHAYOGI~~!! 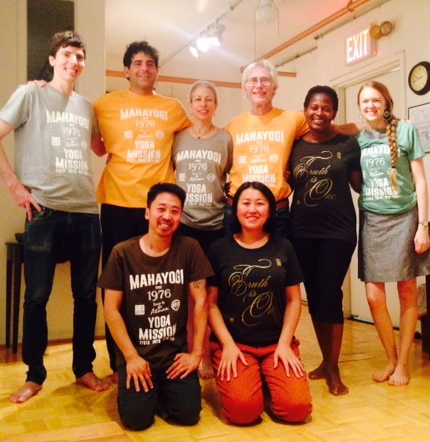 Chicago Sangha proudly put the MYM T-shirt on. Wearing The MYM T-shirt at his garden~!! We are All Children of Shri Mahayogi!!! Jai Gurudeva!!! Om Tat Sat, Om!!! 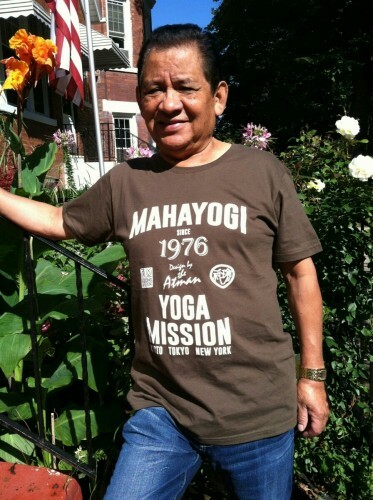 NY Sangha proudly put the MYM T-shirt on.